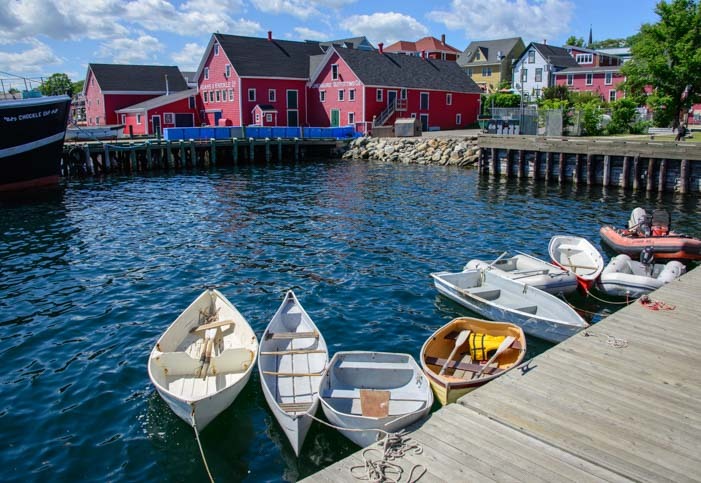 Lunenburg, Nova Scotia - Pretty As A Picture! 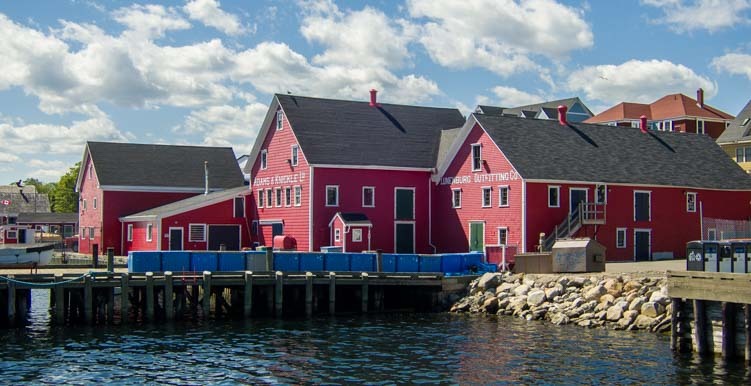 Lunenburg, Nova Scotia – Pretty As A Picture! July 2015 – After our truly magical evening at Peggy’s Cove Lighthouse, we continued exploring the southern coast of Nova Scotia. 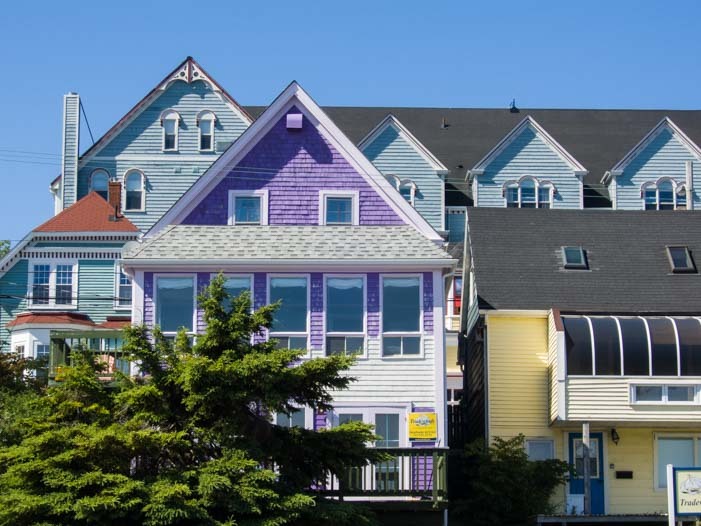 There is a lot to see along the fingers of land that jut out into the Atlantic ocean west of Halifax, and Lunenburg is one of the big highlights. 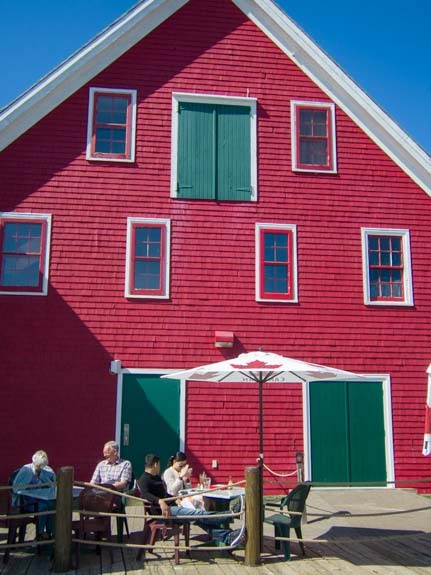 Photos of the iconic red buildings along the docks grace many pages of Nova Scotia tourist literature, including the cover of the 2015 edition of the free book the tourist board publishes about the province (available at the many visitors centers all around Nova Scotia). One look at that photo and we knew we just had to go there! 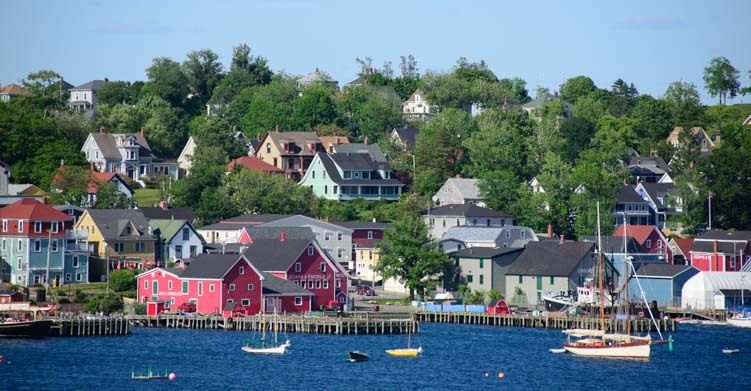 Lunenburg sits on a hillside and its colorful buildings spill down to the sea. 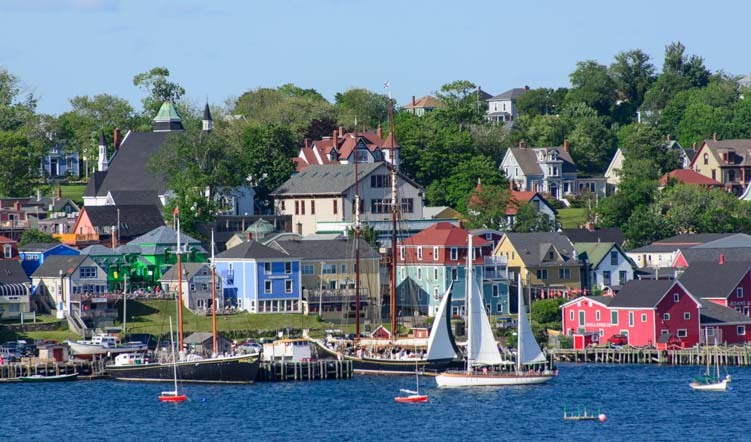 Lunenburg is a small tourist town that is picture postcard perfect in every way, a true delight for photography. 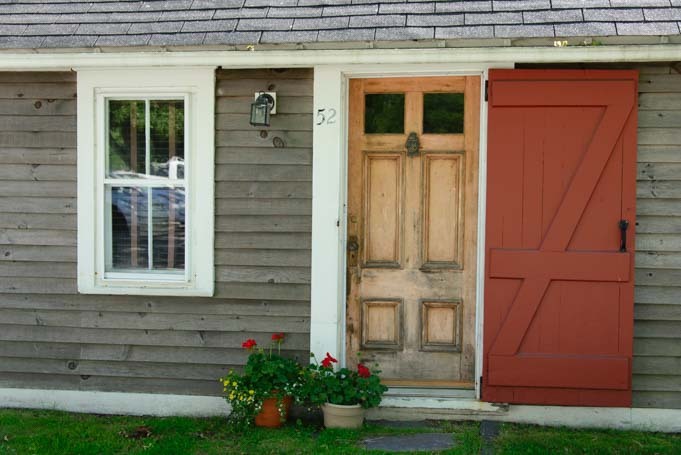 Much like Peggy’s Cove, it is utterly quaint, almost to a fault! All the tourists were walking around with cameras held high as they snapped pic after pic. It’s impossible to stop taking photos here! Everywhere we turned we enjoyed delightfully quaint scenes. The town rests on a fairly steep hillside that comes down to the water’s edge. 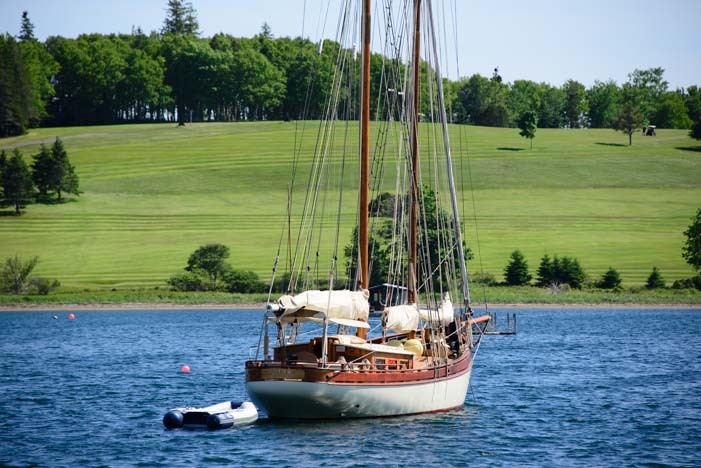 A slew of sailboats, many of antique design, bob on moorings out in the pretty harbor. Schooners and other unique vessels of a bygone era fill every view. There are lots of bigger ships from years gone by, and many offer tours. 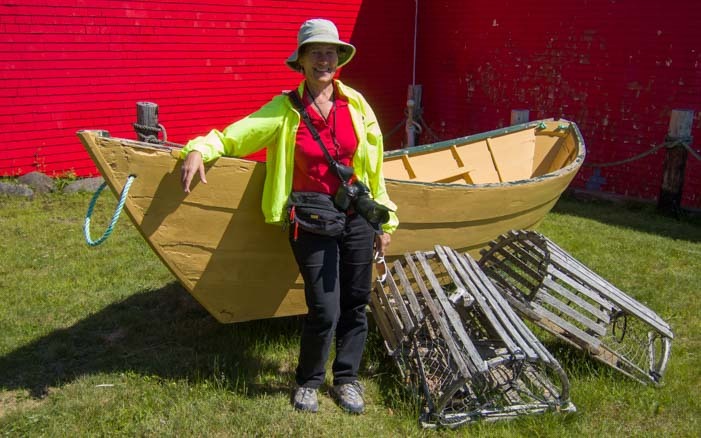 There was even an old dory standing out in the grass with two old lobster pots propped up against it. 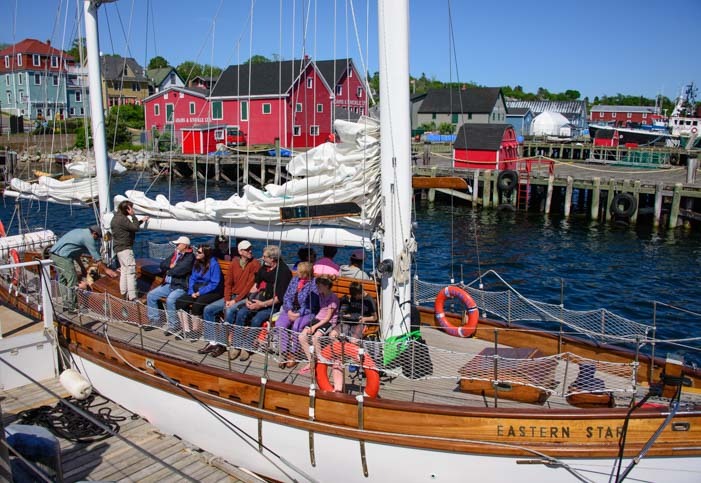 This community, like much of coastal Nova Scotia, is all about boats and lobsters and fishing. There are boats everywhere, even a few dories up in the grass! Many older ships lined up along the docks were offering tours and daysails in the bay. Wonderful old boats line the docks. We watched a group gathering for a daysail on the schooner Eastern Star. They all sat on the deck facing outwards, and the first mate put them through a life preserver drill before they took off. We were within easy earshot of her instructions, and I had to laugh when I turned around and saw there were more of us tourists on the dock watching them and taking photos of them than there were customers on the boat! Then the captain picked up a conch shell and blew a long, loud blast. They were off. 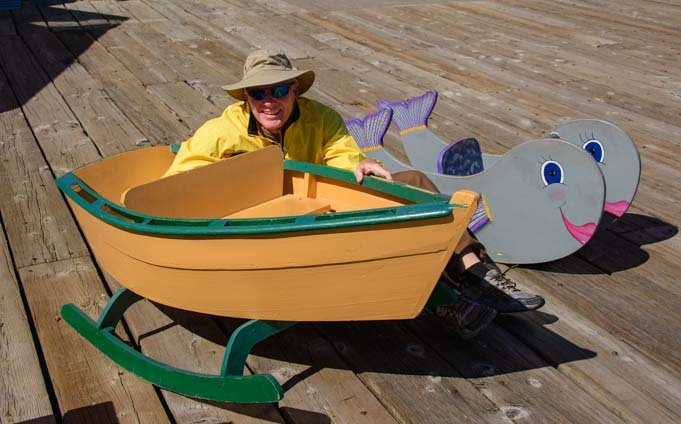 For non-sailors, there were other kinds of rides available too. 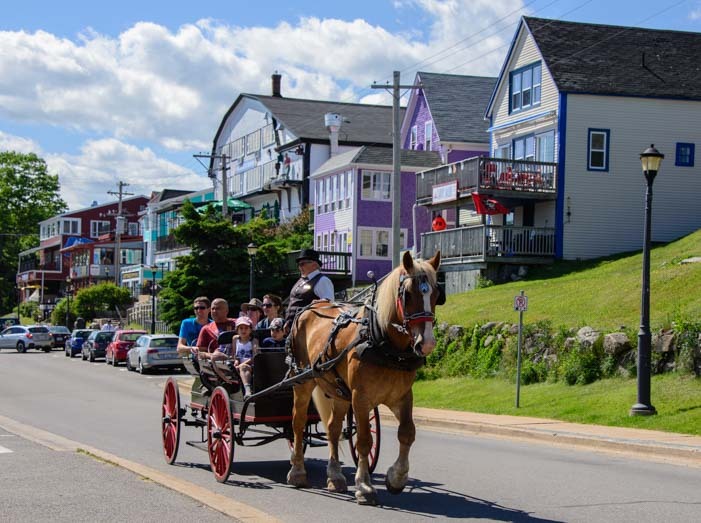 A horse drawn wagon made its rounds about town as a tour guide pointed out landmarks and explained the area’s history. Horse drawn carriages take tourists around town. And for the truly junior set, there were rides on the docks that didn’t go anywhere but just stayed put on their own rockers. Mark finds his inner child. What we enjoyed most was simply the beauty of the buildings. They were all different colors, and many were very old. The red buildings nestled together at one end of town were our favorites. We wanted to get a photo of the whole town from across the bay where there is a hillside and a golf course, so we began walking around the harbor to the spit of land on the other side. It’s an easy walk past all the old fishing buildings and boatyards, and the rich smell of ancient wooden planks evoked vivid images of the seaman’s life a century or so ago. So it was a complete surprise when we passed a tall concrete block off to one side and saw it had writing on it that said it came from the Berlin Wall. This cracked concrete block stands next to the Lunenburg Industrial Foundry & Education (LIFE) building. It turns out that the Kinley family, which has owned this foundry since the 1800’s, had business ties to Germany dating back to the 1970’s. 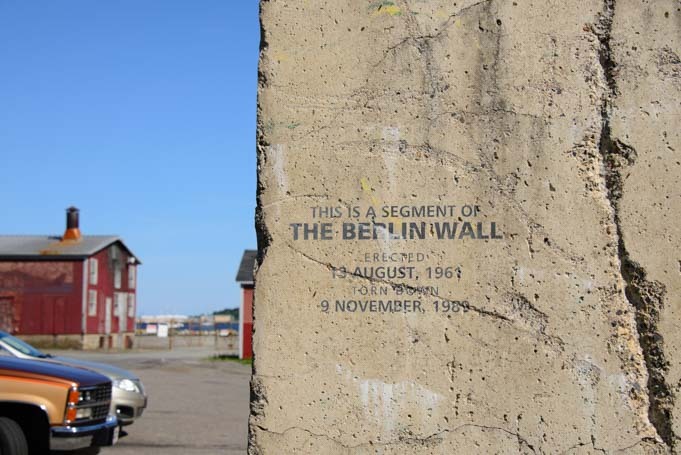 When the wall was torn down in 1989, they wanted to display a section of the wall in Lunenburg as a symbol of peace. 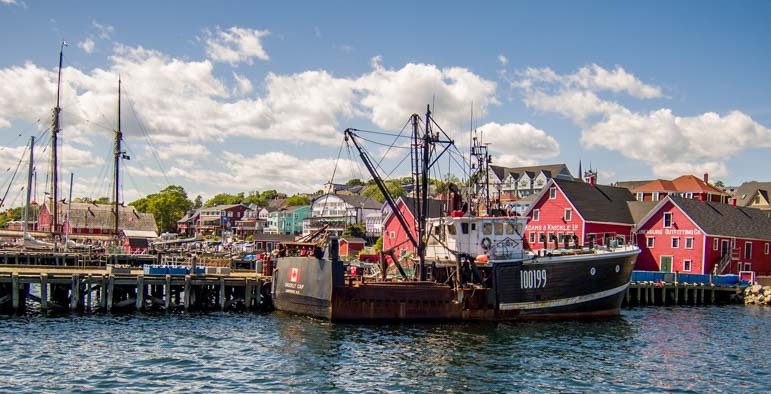 If your RV travels take you to Nova Scotia, a visit to scenic Lunenburg is a must. As a caveat, the roads in Nova Scotia are treacherous, and the small towns are not suitable for driving bigger RVs. 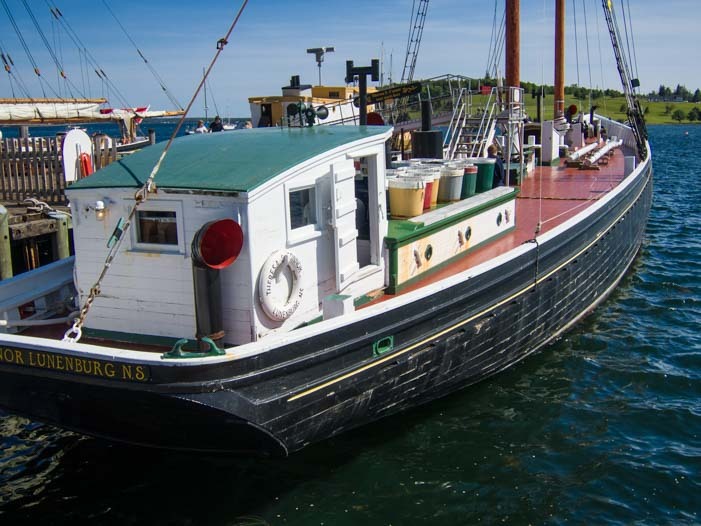 But if you keep your rig on the main highways and venture to the scenic spots in your car or truck, a daytrip to Lunenburg will keep your camera humming! What a classic seaside village!! This entry was posted in Canada and tagged Canada, National Parks Canada, New, Nova Scotia, Travel, WP Travel by Roads Less Traveled. Bookmark the permalink. We’re STILL full-time RV wannabees, so we enjoy this blog and wait anxiously for their next post. It is #1. 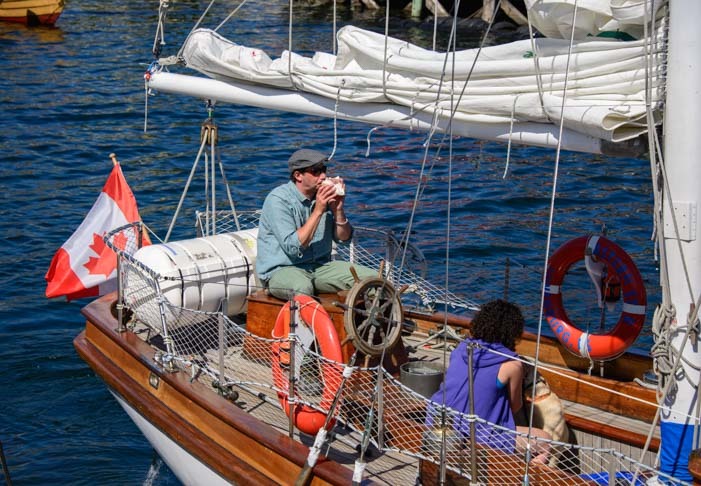 The photos of Nova Scotia in this post remind us of Mackinaw Island. If you have not travelled a lot, you would enjoy following this blog. You’ll be out here before you know it, Sandi. Thanks for “coming with us” on our journey!!! That’s one of the most picturesque towns I’ve ever seen — your photos are gorgeous! I’m curious what you mean when you say the roads are treacherous? We’re planning a trip to Nova Scotia in the next year or two and are thoroughly enjoying your posts. The roads in Nova Scotia suffer from the brutal winters, and all the roads except the main highway that runs across the island, are full of potholes and have very rough pavement. Even the highway has sections that can only be rivaled by the stretch of I-10 that goes through Louisiana. We bent one of our trailer’s axle and had to have it replaced. Also, there is no shoulder at all and the small towns have narrow streets with scant room for a big RV to make turns without side-swiping things. So, driving a bigger RV is challenging. However, this should not dissuade RVers from going, it’s just a caveat so that you can be mentally prepared and make your plans accordingly. What an awesome adventure you guys have found! I love reading your articles, and they truly make us ready to go!! You guys take care, and enjoy!! It’s a dream life, Daniel, and we feel very fortunate to be living it. You’ll be out here too before you know it! !